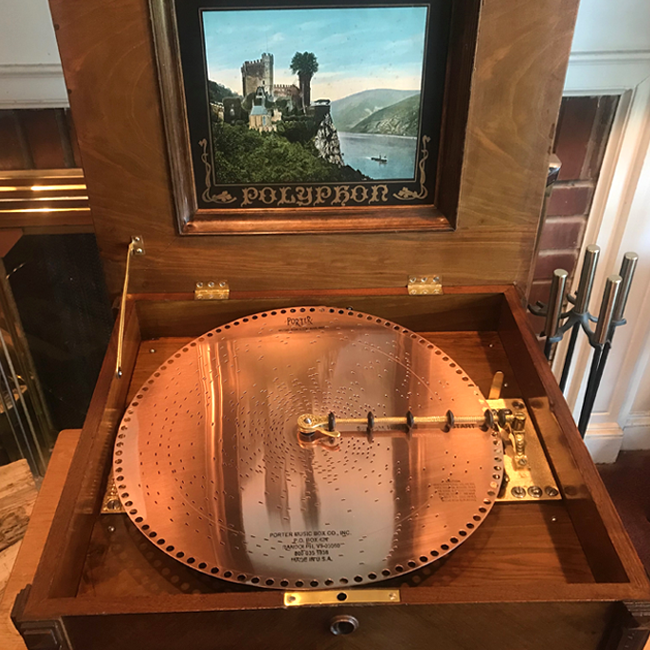 This Antique Disc Music Box was made circa 1895 in Leipzig, Germany. It features the Duplex comb with a total of 156 teeth. 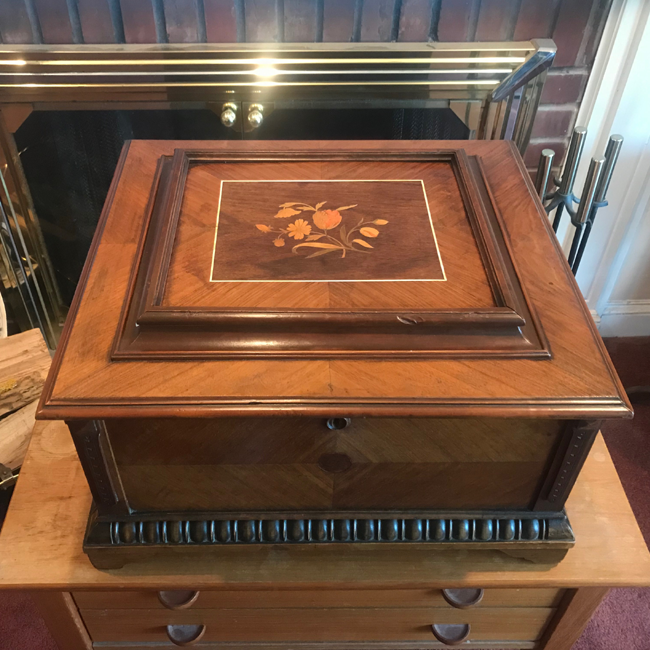 It plays the 15-1/2" Discs and is contained in a striking Case with Burl and Straight grained Walnut, and a central Floral inlay on the lid with Celluloid Striping. 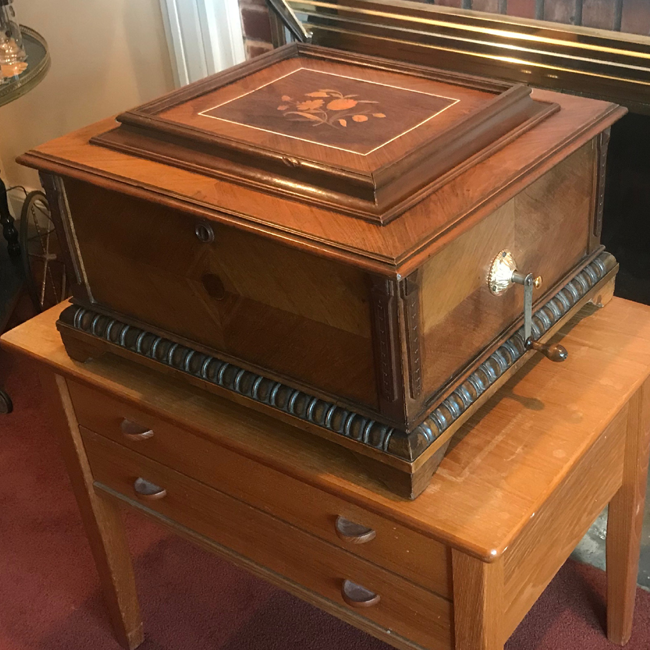 The cabinet also features carved wood and decorative moldings through out. The Artwork on the Lid inside is original and the entire piece is in exceptional condition. 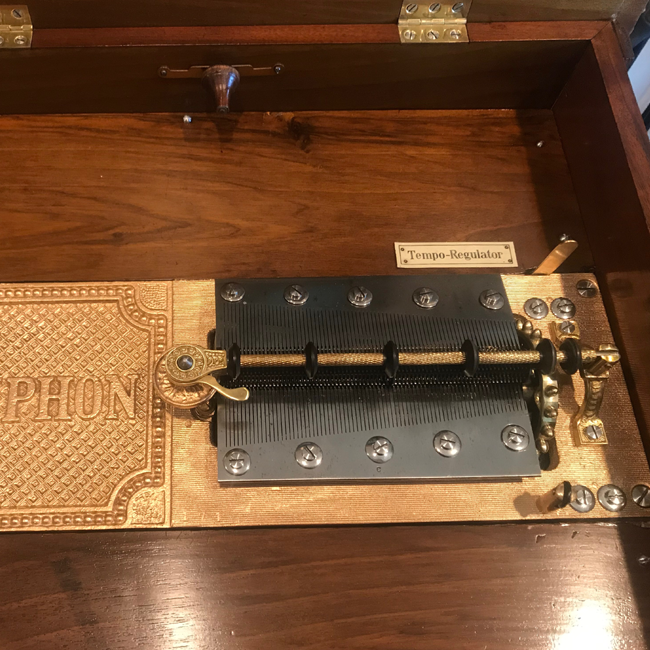 Both combs have no previous repairs or broken teeth with a magnificent tone. Case measurements: 21" x 19" x 12"